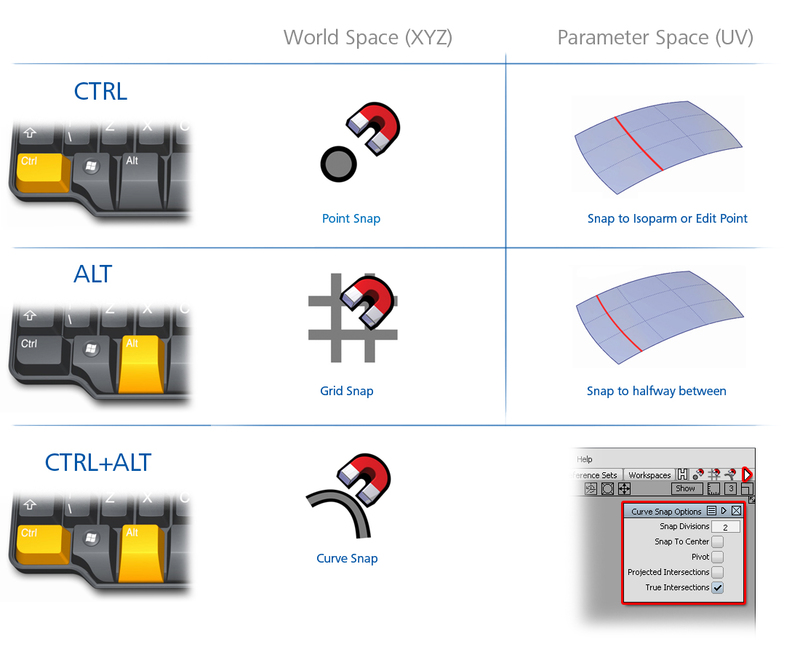 Use Preferences → Selection Options to set up the mouse buttons for selection. There are 4 options, but only 3 mouse buttons. Most users keep the left and right buttons unchanged from the default, and then make a choice over the behaviour of the middle button. Experiment with the two options and choose the one that works best for you. Use the CTRL + Arrow Keys to step from one selected CV, Hull, or Edit Point to the next. Particularly useful for stepping through CVs to check if there is any unwanted 'zig-zagging'. In practice, most users just experiment with the arrow keys until they find the right direction. 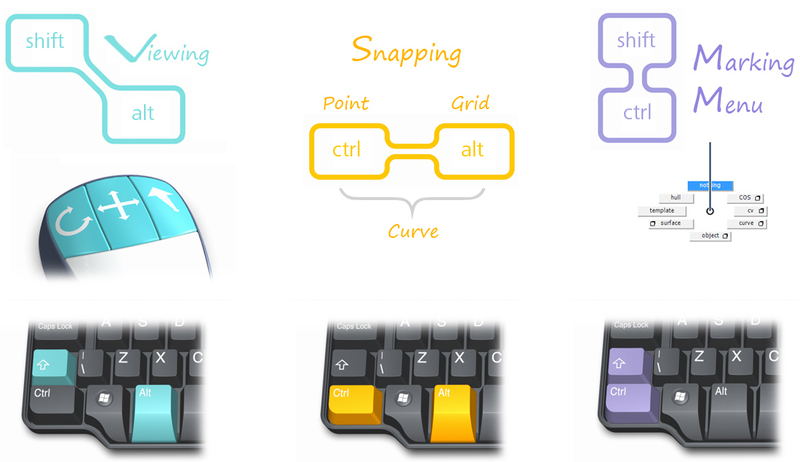 Using Shift + Up Arrow Key moves up one level in the SBD hierarchy and selects the whole surface. Using Shift + Down Arrow Key goes back down the hierarchy to the first CV on the object (U=0, V=0).